The amount of leg stiffness is a key performance indicator in running and can only be optimized by running forefoot. Side note…. by leg ‘stiffness’, I am not referring to ‘stiffness’ as in discomfort. Leg stiffness in running is a measure of spring characteristics in the leg, and to optimize energetics during running, you want to have lots of leg stiffness! In running, leg stiffness is the ratio between the maximum ground reaction force and the vertical displacement of the center mass during ground contact (Hayes et al.). Greater leg stiffness means the tendons and ligaments are storing more elastic energy, therefore the system is more energy efficient. 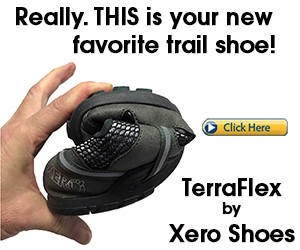 Need more convincing on forefoot running? 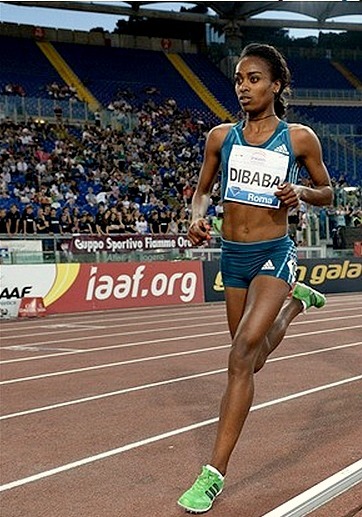 Genzebe Dibaba, a forefoot runner from Ethiopia is the current world record holder of the 1500m, 3000m, and 2-mile. In forefoot running, the center mass is more directly over the foot at touchdown, resulting in greater leg compression. Essentially, the leg is a giant spring and the more it compresses during stance, the more elastic energy is stored in the muscles, tendons, and ligaments. Furthermore, greater leg compression is indicative of greater leg stiffness. How do we know this? The mass-spring model. The mass-spring model is the most successful way to explain human running mechanics. In this model, the legs and torso are viewed as separate entities where the legs are a massless spring and the torso is solid mass known as the center mass. When the torso is on top of the legs at touchdown, the mass of the torso compresses the spring components in the leg. This compression happens immediately at touchdown in forefoot running, but is ‘delayed’ in heel strike running. 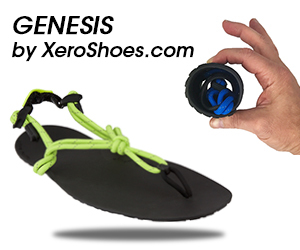 At touchdown in heel strike running, the legs are ”massless”, resulting in less elastic energy storage in the legs. The legs are massless in heel strike running because the mass of the torso is behind initial foot strike position, resulting in less leg compression and stiffness. 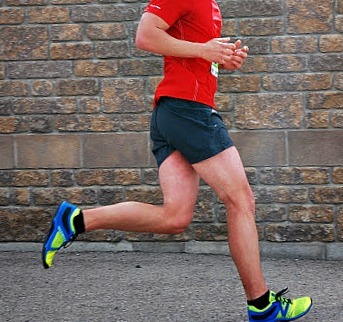 Running with a heel strike (shown above) also increases stride length –previous reports have found that leg stiffness decreases as stride length increases, which also places more mechanical demands on the muscles, particularly the hamstrings. This is how heel strike running creates an energy deficit: less elastic energy is stored, and more muscle power is required when over-striding. In support of this, Hayes and Caplan (2014) found that failing to maintain leg stiffness during running compromises performance. So, to achieve greater leg stiffness and therefore store more elastic energy in your legs, your torso needs to compress the stance leg. 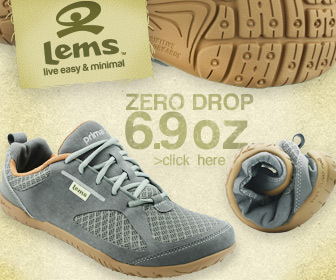 For this to happen, slightly lean forward, bend your knee and land on the forefoot. In this position, the mass of the torso is pretty much directly over the foot at the point of ground contact and the leg becomes instantly compressed. Remember, leg stiffness is a good thing! Orthotics, a Myth in Running? Hayes, PR and Caplan, N. Leg stiffness decreases during a run to exhaustion at the speed at the VO2 max. Euro J Sport Sci, 2014; 14(6): 556-62.